The two Sylvia Plath items that were up for auction today at Bonhams of San Francisco met with mixed results. Estimated to sell for between $15,000-$20.000. Lot 2211, the November 23, 1959 typed letter signed, which included her poem "Lament" failed to sell. Estimated to sell for between $1,500-$2,000, Lot 2212, a price-clipped copy of a Victoria Lucas The Bell Jar sold for $2,074, also inclusive of the buyers premium. Time will tell if the letter eventually sells. 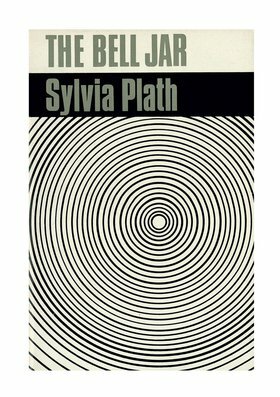 If The Bell Jar sold to a dealer it may come back on the market, expect a significant mark-up in price. Sylvia Plath’s first published poem was in August 1941. Her first published artwork was a year later in August 1942. 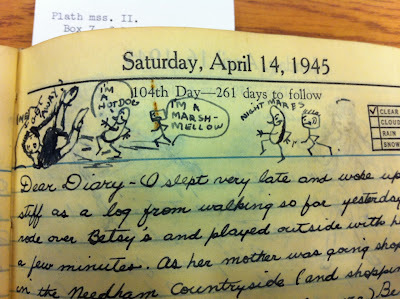 This kind of got me thinking: what was Plath’s most successful month in which her work was published? Working with Stephen Tabor’s excellent Analytical Bibliography - as well as publications that I have found that he did not include/know about - I was able to come up with the following counts. I had to set some limits. Well, I did not have to... But I felt like I should and so I worked with known publications from 1941 through the end of 1963. The reason for this being that although some of those 1963 poems were submitted by Ted Hughes on Plath’s behalf after her death, a number of the publications were, in fact, submitted by Plath prior to her death. Also, for quarterlies I assigned publication in Winter to January, in Spring to April, Summer to July, and Autumn to October. The few undated/unknowns are annual publications. October is the highest number at 39 publications. Fitting, no? It was her month, after all. There were 239 publications in total which averages, over the 23 years included in this review, to 10.39 publications per year. A great many of the 1952 and 1953 publications came anonymously as little articles in regional newspapers around Smith College during Plath’s stint on Press Board. She did publish poetry and prose too, but the drop in 1953 is noticeable, as is the slow recovery in 1954 and 1955 as she herself recovered from her nervous/exhaustion breakdown and suicide attempt. Plath got her groove back in 1956 and 1957 before the terror of the teaching year at Smith in 1957/58 got the better of her (the majority of publications in 1957 came before she started teaching at Smith and not surprising at all, all of her 1958 publications came after she stopped teaching). 1959 was the busiest year, the majority of her publications coming in poems and articles (with illustrations) in Boston’s Christian Science Monitor; 17 of them to be exact. By decade - because why not: when one is this far over the deep-end does it really matter how much further down one can go? - the numbers are: 1940s - 29; 1950s - 139; 1960s - 71. I think these numbers are interesting. In her Collected Poems we can track how many she wrote per year (although we know there to be faults with the current arrangement of poems in the book) but approaching Plath’s poems this way makes them look a bit different. For example, according to her Collected Poems Plath wrote something like 12 poems in 1960 (plus a couple of short stories); but in that year she published 18 times (including multiple poems appearing in single issues of periodicals). So while her poetic creativity and output does not look very impressive or consistent compared to other years - taking into consideration her move to London and the birth of her first child an all - she was quite productive. It also shows that in the early 1960s her work was being very receptively accepted, and consistently so. Of note is that these numbers above do not take into account that she published in the 1960s three books: The Colossus in October 1960 and May 1962 and The Bell Jar in January 1963. This post celebrates the achievements of Sylvia Plath on the 48th anniversary of her death. Plath Typed Letter Signed for sale this weekend! I'm not sure how long the links will be valid, so click now! 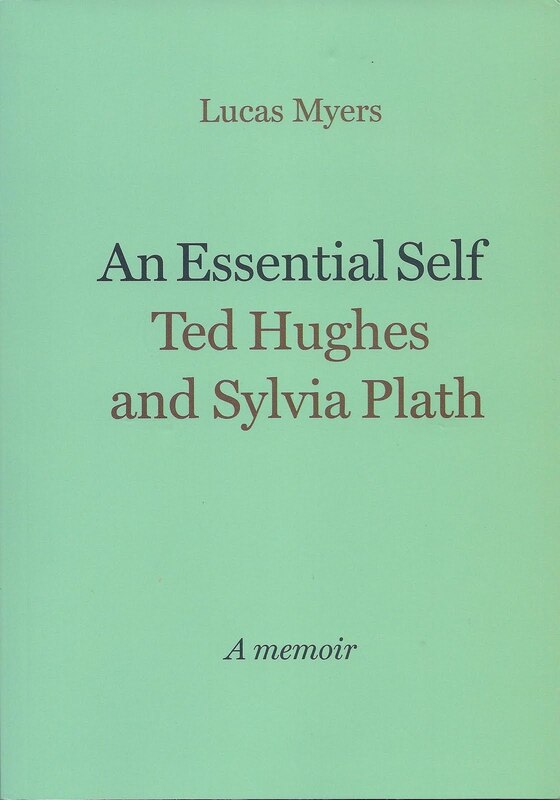 An Essential Self, grew out of his essay "The Voices of Sylvia Plath and Ted Hughes." which appeared in Saint Botolph’s Review No. 2. At its most basic level it is a defense of Ted Hughes and a castigation of Plath (and Alvarez). He's throwing a long dead woman onto the tracks of an oncoming train. The Myers Express: Choo-choo. He has written a book he could not - and dare not - have written while Ted Hughes was alive, which I think qualifies as an act of cowardice. A classic example within this poorly written, often redundant text, is that although Myers was given "pause" at Plath's story "The Fifty-Ninth Bear," he did not voice his concerns to Ted Hughes, whose fictional representation was mauled, but to this sister Olwyn. Another example occurs late in the book (and in other texts). Myers expresses great embarrassment at Plath's excessive Americanisms in 1956 and likely beyond. This is childhood playground stuff. Myers is simply guilty of failing to try to get to know her or understand Plath in order to clarify or gain understanding to her actions and mannerisms. Clearly Hughes was the better man for Hughes "was in no way inclined to make fun of her, which was the general response" (110). He has expressed in the past that he couldn't see or understand what Hughes saw in Plath. Well, that's not really any of Myers' business is it? What goes on between two people and what attracts them to each another is purely between them. A good friend supports his or her friend when the said friend is falling in love. These are "high road" statements but I'd much rather be on that road than the one Myers is travelling down. The book is littered with errors that Myers should not have made in the first place and that an editor or reader/fact checker worth their salt should have caught in the second place. (I was going to offer to send a list of these errors to the press in an email but decided it wasn’t worth it.) A few of my favorites; however, are "Edna Higgins Prouty" (p. 10), "Poems for a Birthday" (48) and "Among the Butterfiles" (pp. 48, 95). "Among the Butterflies" is particularly bad considering Myers calls it one of his favorite stories by Plath! (To be fair he does get it right at least once.) His reading of "Metaphors" is laughable, "a poem about a woman who had eaten a bag full of apples and had boarded a train there was no getting off" (64). Wow, really? Even I could do better than that! Why. Why Mr. Myers, why? What I take away from this book is that Myers (and many in that Cambridge group) was clearly jealous of Plath because she got 'the man.' To write a book like this seems ungrateful despite a very lovely gesture that Plath did when she published a poem of his, "Fools Encountered," in American Poetry Now, the Critical Quarterly Poetry Supplement Plath edited in 1961. His poem was even sandwiched between Richard Wilbur and Adrienne Rich, a position that would certainly considered especial. Despite having met Plath on several occasions, I am really not certain Myers ever had any idea of who she was. He makes claims against others, particularly Al Alvarez, saying "Alvarez did not know Sylvia profoundly" and "he did not know Sylvia well enough to have the evidence [i.e. information about the breakup of the marriage of Plath and Hughes]" and "he did not know her well enough to understand her mentality or her reasons for committing suicide" (78-9). I think these are incredibly false, disingenuous statements. Myers admits "It is hard to get trustworthy and historical information from anything that has been written about Sylvia..." (82). This is especially the case when the source of the information is suffering from his own bitter fame. Myers' biases, jealousies, and bitterness call into question the validity and appropriateness of his motivation in writing a memoir: and a second one at that! Very often people in the Hughes camp attempt to discredit Plath's friends such as Elizabeth Sigmund, Al Alvarez, and maybe even Jillian Becker, etc. And to be even, there are certain Plath supporters who are equally aggressively anti-Hughes. But doesn't it strike you as odd and/or defensive? Massive discrediting of first hand accounts or opinions, I guess, really started when Alvarez published part 1 of "Sylvia Plath: The Road to Suicide" in 1971. And then the biographies started to roll in, which opened the doors of name-calling against Elizabeth Sigmund. Becker's memoir was published so late it seems to have missed this. All three of those friends of Plath's - Becker, Alvarez, and Sigmund - were the most privy to information about the demise of Plath's marriage to Hughes and Plath's last few days, weeks, and months. As a consequence, these people had possibly the most dirt on them. But this is a whole different can of worms. (And Assia Wevill herself routinely fed information to Nathaniel Tarn who was good enough to take notes. But how reliable can even her words be?) Had the Hughes side not been so secretive and cover-upish and was more forthcoming and better editors and more responsible Estate managers and less intimidating and bullyish, the whole mess might have been avoided. But as it is, they gathered the "tatty wreckage of [her] life" - as Plath wrote in The Bell Jar - lit the match and stoked the coals. To quote Marianne Moore, "I do like to like a book, especially anything [about] Sylvia Plath." But Lucas Myers' book An Essential Self is beyond likability. I was not going to review this book, not having anything nice to say about it, and I've likely carried on too long to the point where the review lost its focus (if it even ever had focus). But as I read An Esstential Self (and I read it three times in October) the itch to write something grew stronger and stronger, and so I found myself scratching. I cannot even claim to feel better when now it is done: this is a traveling itch. Relief will be hard to come by. The image appears to be borrowed from "Kool Things." If you are like me and you eat, sleep and breath The Bell Jar, why not put it on your wall? Also, thanks to Melanie for the following link to a different Plath-related poster available via Cafe Press. They (Cafe Press) do have other Plathiana available. Some are more tasteful - and accurate - than others.